Any word on the bug fixes and shop update? Bug fixes will come in next maintenances. 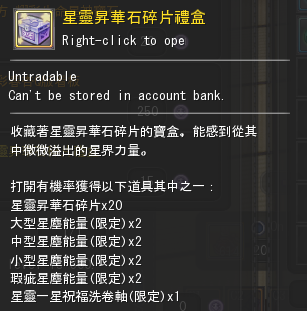 Considering we havent find anything game breaking so far, there will be no other emergency maintenances. As for the promo updates, I'm still waiting for a fix on the tool I use to update the shop. As soon as I have it ready I will add the new promos. Oh also the sacred crystals we get from hunt are bugged and it’s saying to repair them I don’t know if it’s supposd to happen and the sacred shard chest we get from party dungeons we are unable to open them. Thank you for reading the comments . About bugs, I have some bugs to report. 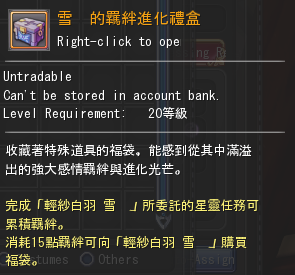 Some prizes from event NPC we got it is not able to open, also not able to see inside though still have information just like this, and we need translate for those event NPCs . 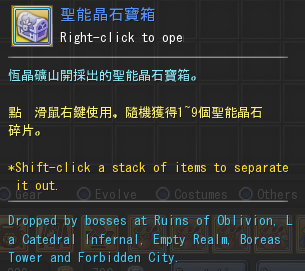 When we defeated bosses in storyline dungeons, boss drops Senshi evolution starstone box in chinese and we can't open it, have the same problem with above bug. 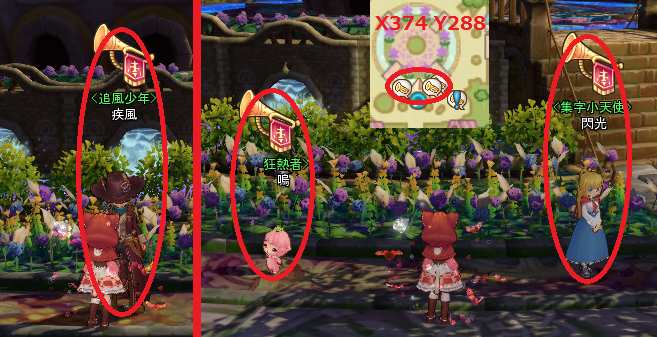 Crystals we got from Monster Hunt Solo shows wrong when equipped, shows red since the one we got from quest (chinese name) is normal and show true. Just some little bugs . 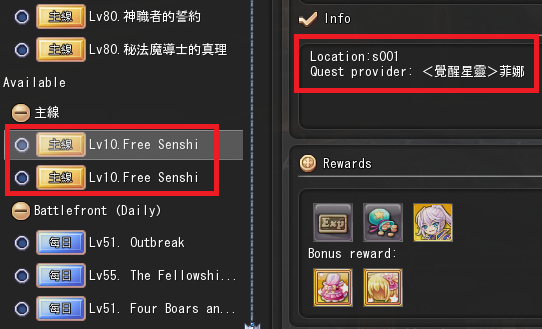 Senshi quest's reward is always 25 bond points from official, if you got 50 bond points, that senshi would be new senshi and the event only in few weeks. Can you list the senshi who you got 50 bond points here? We need to fix it to normal if it is old senshi. Also, I have more bugs to report . First, about Senshi's shop: There are two senshis have the same bug with the one i already reported, which we can't looking inside and can't open, even we can open it, inside has nothing. There are Charlotte and Swan, I don't have Jade and Alythia Blossom ver so I couldn't test it yet. 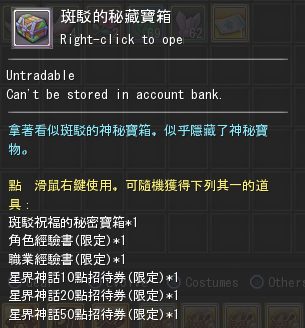 There are many Senshi's shop doesn't have this item which the item should be there after new patches. Serena Halloween ver, Skadi Summer ver, Lele, Charlotte, Swan, Meteor, Miko, Lilith, Rin, Melody Christmas ver, and probably Jade and Alythia Blossom ver. The glitch bug in Elven Kingdom is still not fixed, we still got glitched in there, and we can't get to this Elite monster to defeat him cause of glitch bug. 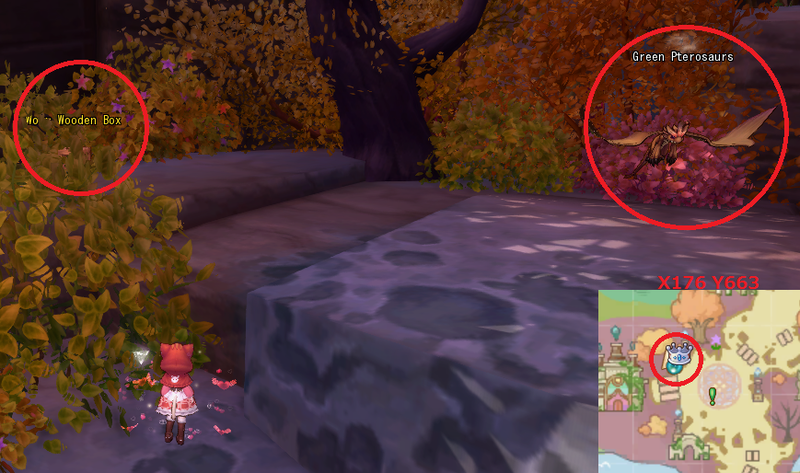 Some event NPCs in Royal city Arcadia are bugged, which we can't talk to them, nothing appeared when we started talking to them. These two quests are expired or bugged because the NPCs are lost. 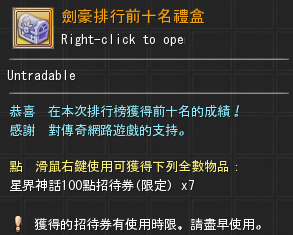 Lv99 Pop up quests have the same problem. 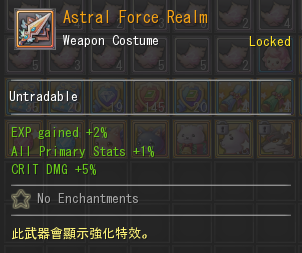 The weapon costumes we transfered from weapon are not shown in combat after we have upgraded to 2nd Job. Other weapon costumes are normal, still showing in combat, only the one we transfered from weapon are not shown. All players reported that they lost so many furnites in their terracottage after patching and mine too, can you give it back next update? The prize we got from Arena ranking is not able to open, we can't see inside, also can't open, have the same bug with what i already reported. I will report again if I found out . Last edited by Sandora; 04-01-2019 at 12:36 PM. Reason: add more bugs. I help our group member to report a bug of donation. He went to the website of TwinSaga to donate and get more coins. He entered the Paydrake Web Sites to sign up an account. He followed the instructions to purchase from PayDarke Point to MyCard Point. First, he brought 50 point of my card. Trade code:w183633622. Then, the web sites said it was an error and loading the screen for 30mins for nothing. He decided to refash the screen and try again, the web sites said it was completed. Therefore, he tried to buy 450 point of my card. Trade code: w183641855. For some of the reason, it happened it again with error and loading screen for another 20mins. Later on, he tried to login to the game and see is there any new for his account, and he can’t see any new coins. He report to the Paydrake, the pay drake said it seem to them a completed, they said he should ask the game company itself. So I report it here. Our group member is not very good at English; so I try to help. If anyone can send an email to him, please also give me one email. Our group member said he received the coins today.